Pearls, camellias, tweed and quilting all come to mind when we think of Chanel, but blue is also an integral part of the brand's heritage. Back in 2008, Chanel released the spring Aurora Blues collection, which included Le Vernis in Blue Satin and Les 4 Ombres in Bleu Célestes - two classics that are now a part of the permanent collection. Since then we've seen various shades - Azur, Nouvelle Vague, Riva and the three denim hue of the Les Jeans de Chanel collection. 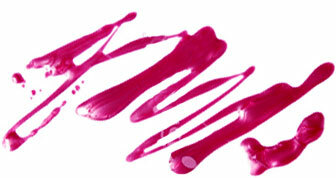 Inspired by a cloudy sky, Creative Director of Chanel Makeup Peter Philips conjured up Blue Illusion de Chanel. 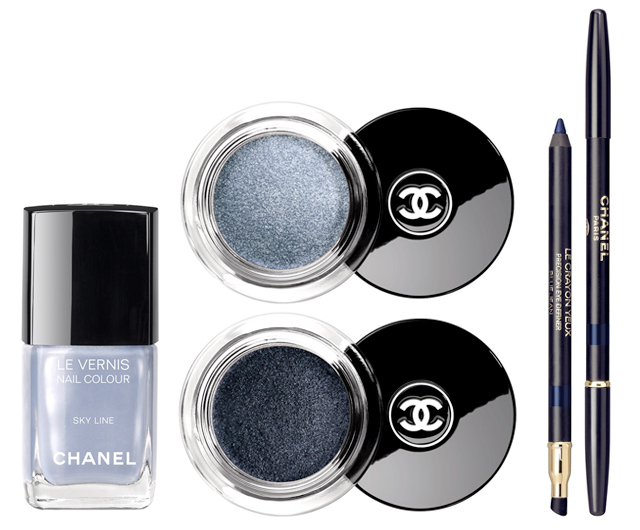 The collection, which hits makeup counters and Chanel.com now, includes blue Le Vernis aptly dubbed Sky Line, a mix between pearlescent and metallic pale blue. Plus you can create smoky blue eyes with Illusion d'Ombre in Apparition and Destination, along with Le Crayon Yeux in Bleu Aerien.